Marcel Dupré Very Good. In very good packaging. 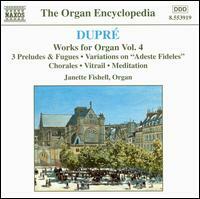 Dupré-Organ Works, Vol 4.